Launch Egypt works in collaboration with a Licensed and Registered Occupational Therapist with advanced training in sensory integrative evaluation and treatment techniques. She is certified in the administration and interpretation of the Sensory Integration & Praxis Tests (SIPT). She has extensive background in child development, play, neuroanatomy, neurophysiology, kinesiology, sensory-motor functioning, oral-motor functioning, hand function, handwriting, and psycho-social behavior. 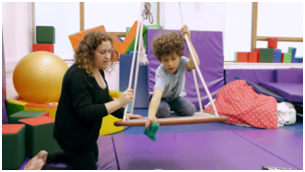 Our OT department is overseen and all programs supervised and updated regularly.